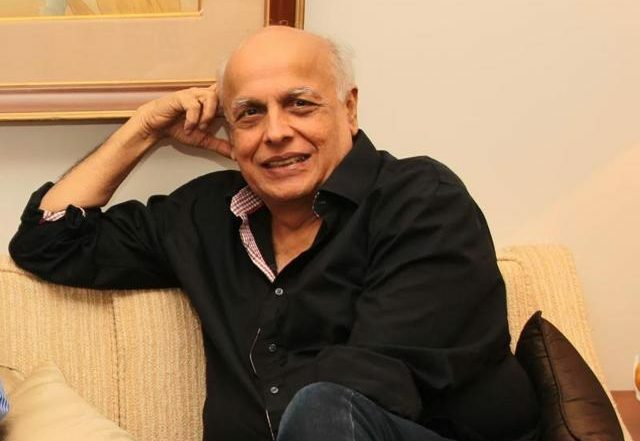 Mumbai, March 19: National Award-winning filmmaker Mahesh Bhatt, who is supporting the forthcoming film No Fathers in Kashmir that is yet to get a certificate from the Central Board of Film Certification, has criticised the system of censorship that creates obstacles to unveiling the truth. "It's a tragedy that a film like No Fathers in Kashmir... a filmmaker who puts his film together, and runs from pillar to post, begged people to get it through. In this age and time, is there anything called censorship?" "I have the audacity to look at the truth. The greatest epic which mankind has been blessed with, the Mahabharata came from the battle of Kurukshetra, in that moment of darkness, he who locks the eyes with the darkness discovers a life which Ashvin has discovered," Bhatt told the media here on Monday. Ashvin has been waiting for months for a certificate from the CBFC. No Fathers in Kashmir NOT Banned by CBFC; the Censorship Body ‘Disappointed with Misinformation Being Spread’. He had filed for a censor certificate in July 2018. After challenging the CBFC's decision to give the film an 'A' certificate, which the makers found unjustified on the basis of the content of their movie, they moved the Film Certification Appellate Tribunal (FCAT) first in November 2018 with a hearing in December the same year, and later in January 2019. The FCAT has given its final order on the film asking for a few changes including some cuts and disclaimers. Ashvin is still struggling to get a certificate but the release date has already been announced. Asked if he fears a polarised response from the people to his film as it is close to reality, Ashvin said: "As a filmmaker, it is my job to make people feel uncomfortable. My intention is to feel something, using my craft and make you (audiences) feel the same through it (cinema). Rest is up to the forces of the society." "My patriotism is very clear. It is that I will tell you the truth. If there is anything wrong, I will talk about it so that it can get corrected," he explained. "No Fathers In Kashmir", featuring Soni Razdan, Anshuman Jha and Kulbushan Kharbanda, is slated to release on April 5.